If you are in the UK and would like to buy a copy of Around the World in 80 Trains, it would be lovely if you could go down to your local independent book shop and support a dying industry. You could equally pop along to your local Waterstones or Foyles or if you must you can click on the link and purchase it from Amazon. 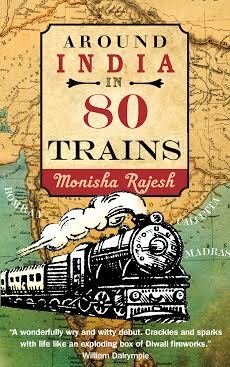 You can also buy my first book Around India in 80 Trains at the same outlets: Waterstones, Foyles or Amazon. 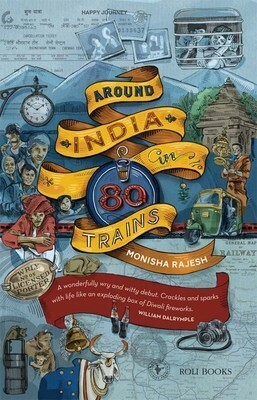 If you’re in India, then do head down to Crossword or Full Circle, or have have it delivered through Flipkart. Pingback: Reading List 2015 | Where Art Thou? I don’t normally post pictures of my daughter or anything too personal, but scrolling through these pics of her having a feel of her very active sibling, trying to say hello through my belly button, and eventually giving her a kiss cheered me up no end. So maybe they’ll make you smile too.